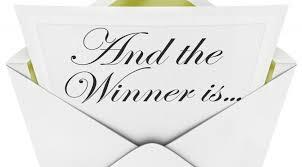 This months winners are: Krystal Lopez, Ronald F Antinora , and Laura Bailey! Octobers giveaway is going to be special. So look out for the October’s Monthly Appreciation Giveaway. A BIG CONGRATULATIONS TO ALL THE WINNERS. Thank you everyone for entering!!! Have a fabulous day!! Congrats to all the winders!!!! Yaaay!!! I am jealous with your guys!! How did I miss that..lol. Great job Kelley! She seems like she really would be! I’m happy for the winners.